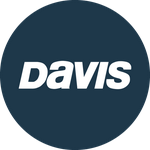 Davis Instruments Support, FAQs and Troubleshooting - Why doesn&apos;t the Lube II or Cable Buddy work with HP Mercury Outboard? All Categories ​>​ FAQ ​>​ Marine ​>​ Why doesn&apos;t the Lube II or Cable Buddy work with HP Mercury Outboard? The Tilt tube has a different thread.